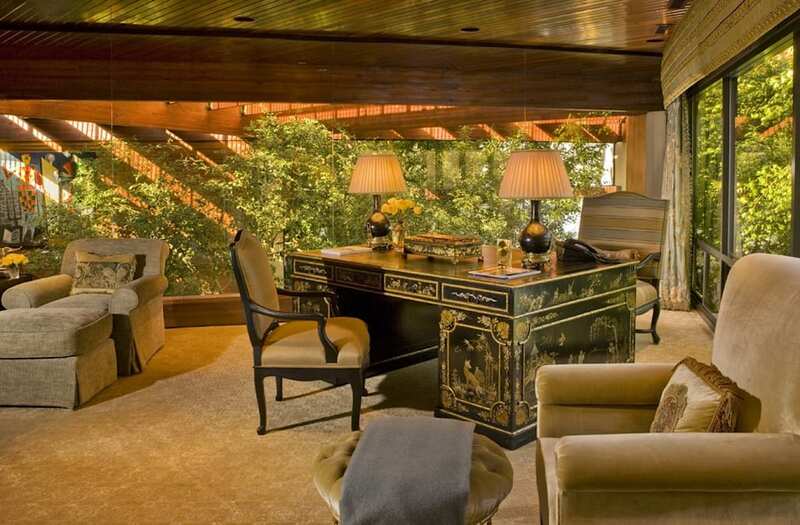 The Malibu estate that Johnny Carson called home for almost two decades is back on the market for $81.5 million. The home, which is being listed by its current owners, film producer and fashion mogul Sidney Kimmel and his wife, Caroline was designed in 1978 by architect Ed Niles on four acres of lushly landscaped oceanfront property on a bluff in Point Dume. The 7,083 square feet home has two bedrooms, 4.5 bathrooms and a separate guesthouse. The master suite occupies the entire second floor. In addition, there is a living room, dining room, kitchen, media room the requisite wine cellar and an indoor arboretum. Carson, who passed away 12 years ago at 79, purchased the property in 1984 for about $9.5 million, according to reports. Sidney Kimmel founded the Jones Apparel Group before founding Sidney Kimmel Entertainment. His credits include Death At A Funeral,Moneyball, Lars and The Real Girl, and Hell or High Water. The Kimmels bought the home and in 2007 for about $46 million. The grounds offer a variety of rock outcroppings, waterfalls, a koi pond and a swimming pool. There is also a sunken tennis court, that was given as a gift to Carson by NBC which includes an authentic bench from the grass courts of Wimbledon. The listing agents are Chris Cortazzo of Coldwell Banker Global Luxury and Linda May of Hilton & Hyland.